I'm very pleased to announce that I have recently finished working on my third book cover artwork collaboration. 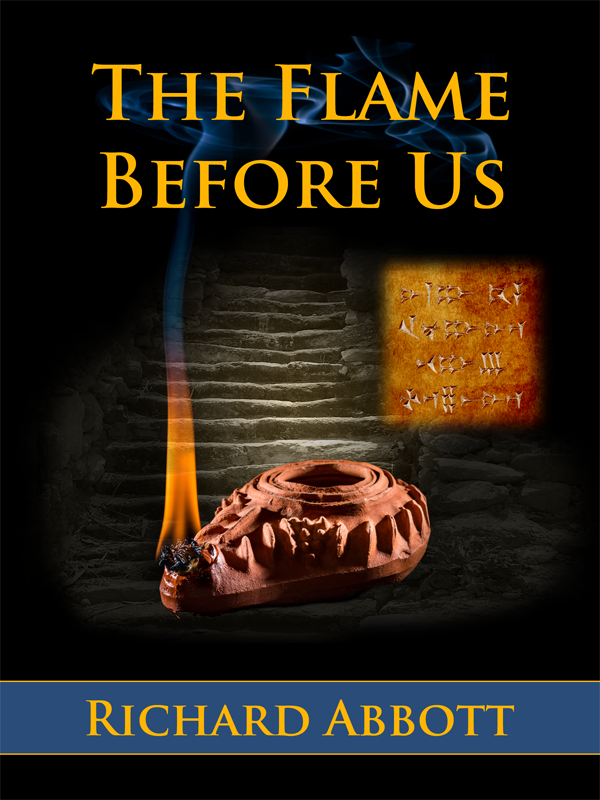 The Flame Before Us is the third in a series of historical novels written by my good friend Richard Abbott. The series is set in and around a small town called “Kephrath” which is located in the hill country of Canaan, at a time of around 1200BCE. The star of the Flame cover is undoubtedly the authentic looking olive oil lamp. This was sourced online by Richard and sent to me to photograph. We had lots of discussions about how best to get a good flame going using olive oil as the fuel. In the end I opted for soaking the wick material in olive oil overnight and holding it in place using a small piece of wire to stop it falling over! The process was a lot more time consuming than flicking a light switch! The flame burned with a rather nice orange colour, so I didn't have to do any post production colouring work. The smoke, on the other hand, needed a bit of digital encouragement, and is actually a combination of two different images I had in my archive of smoke rising from a burning incense stick! Richard provided me with the image of the steps, and these were manipulated using various masks to get them to appear behind the lamp, yet still be visible through the smoke and flame. They were also faded out at the edges to give an air of mysteriousness! The final part of the cover comes in the form of the ancient Ugaritic cuneiform writing. I'm reliably informed by Richard that this translates to: If the strong attack your strongholds – warriors your walls. I had lots of fun putting together the cover with Richard, and hope to work with him again in the future.